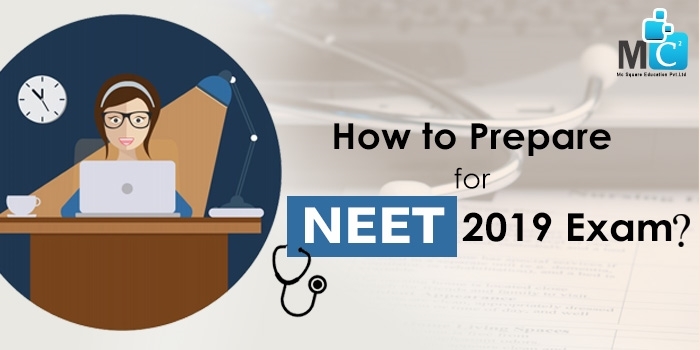 How to Prepare for NEET 2019 Exam? “Success is where the Preparation is. Before anything else Preparation is a Key to Success”. It’s easy to achieve success in NEET exam with ideal preparation. But so many questions are comes in mind before start to prepare for NEET Exam. Questions like How to prepare for NEET 2019 Exam? Which Books are good for better preparation? Is it necessary or not to join NEET Exam Training Institute? How to do perfect time managements? Don't worry about those questions and only concentrate on giving your best efforts for preparation. Here are some of the tips to prepare for NEET 2019 Exam given by experienced and expert educationist at NEET Academy in Pune to guide you for easy preparation of NEET Exam in simple and relax way. 1. Know the Complete Syllabus: Before you start for your NEET Preparation, you first collect the complete information about the NEET Syllabus. You can Compare the NEET Syllabus with Board Syllabus and give some extra time to cover the some topics which are not covered. Mostly students left those topics which are not the part of the syllabus. 2. Make Perfect Time Table: After knowing the complete syllabus makes a Study Time Table as per the Syllabus. Don't include long hours span for study period in your time-table. Include the small breaks between the study intervals to maintain freshness in study. 3. Study Material: Don't get confused because of so much study material available for NEET Preparation. Refer the books which contain the complete NEET Syllabus. Study from NCERT Books to get best score. Also prefer the Previous Year Question Papers. 4. Solve Mock Test: After you start NEET Exam Preparation, it’s necessary to analyze your performance. Solving mock test on studied topics is a best way to check your performance. It’s also helpful to know your strong and weak points. Solving regular test will helps to increase your speed and time management skill. 5. Group Study: Group Study is also beneficial for your NEET Preparation. Stay in contact with people who increase your confidence and give proper guidance. Give specific attention to those people who motivate and inspire you. Maintain consistency in your study schedule to complete your final goal. 6. Maintain your Diet and Health: You also need to care about your diet and health to get better concentration on your studies. Don't eat junk and oily food and take proper healthy diets for better health. Do meditation, Yoga and exercises for better concentration, increase confidence and stay fit. Apply those Tips for NEET Preparation. If you have any others doubts related to NEET Exam Preparation then you can contact with us. We at MC2 Academy provide the Coaching for NEET Entrance Exam Courses in Pune. We are always present to solve your NEET doubts and guide for better Preparation. Best of Luck Students! !